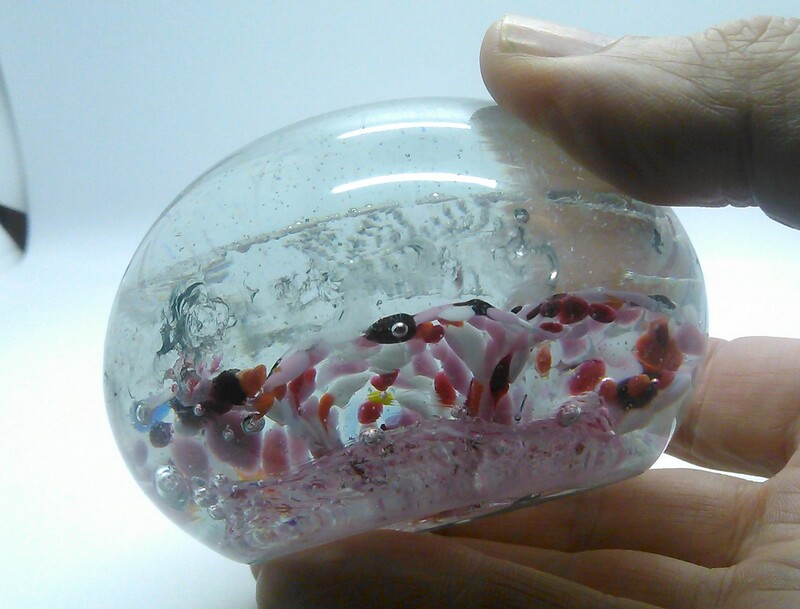 This is an early Gentile paperweight. Peter Gentile originally came from Italy. 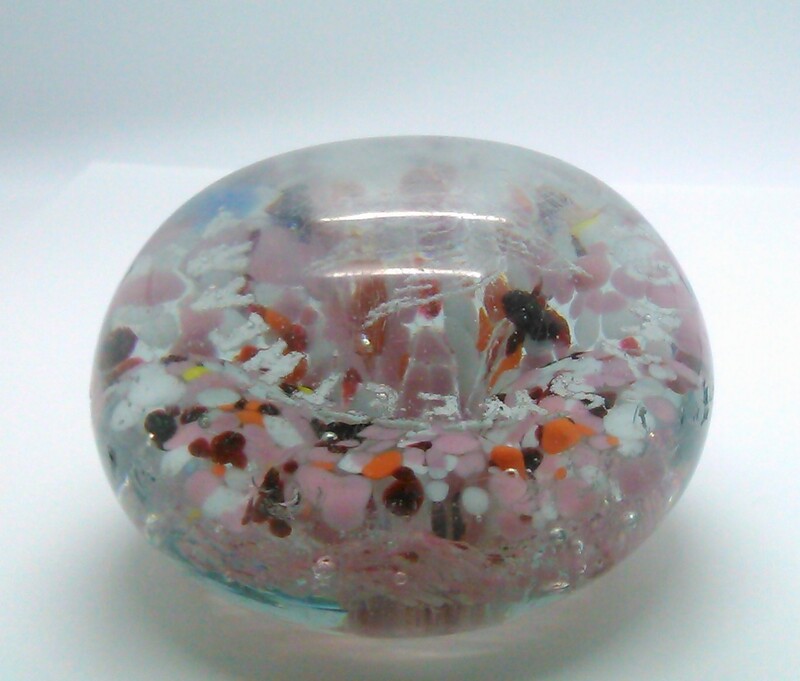 Trained in glass blowing, and after working in a number of cities and companies opened the Gentile Glass in 1947. 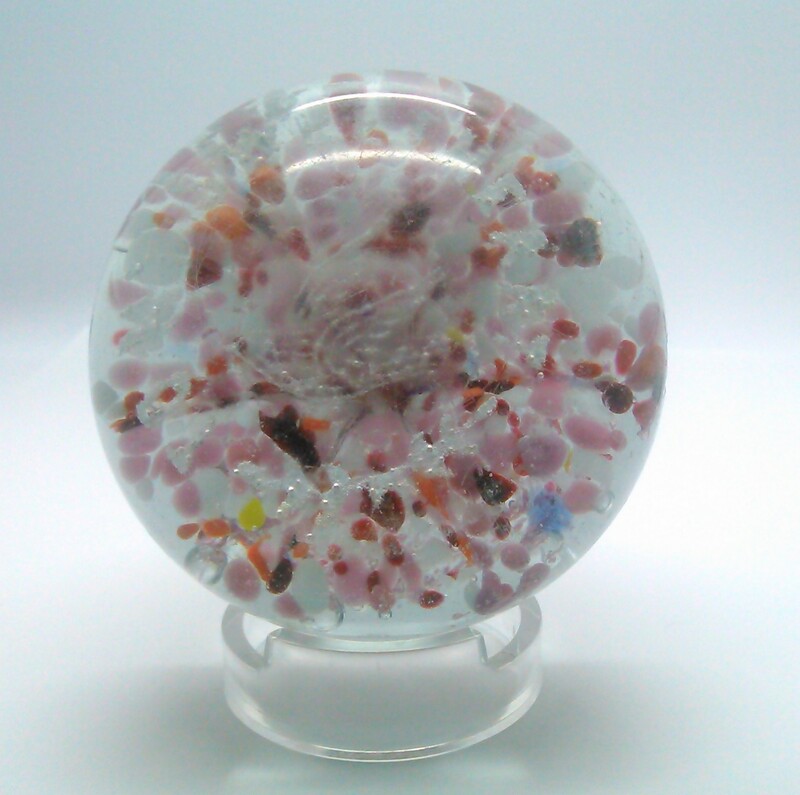 His son John joined the business and produced lots of paperweights many for the tourist trade. Around 1963 they began stamping the finished products with their logo. 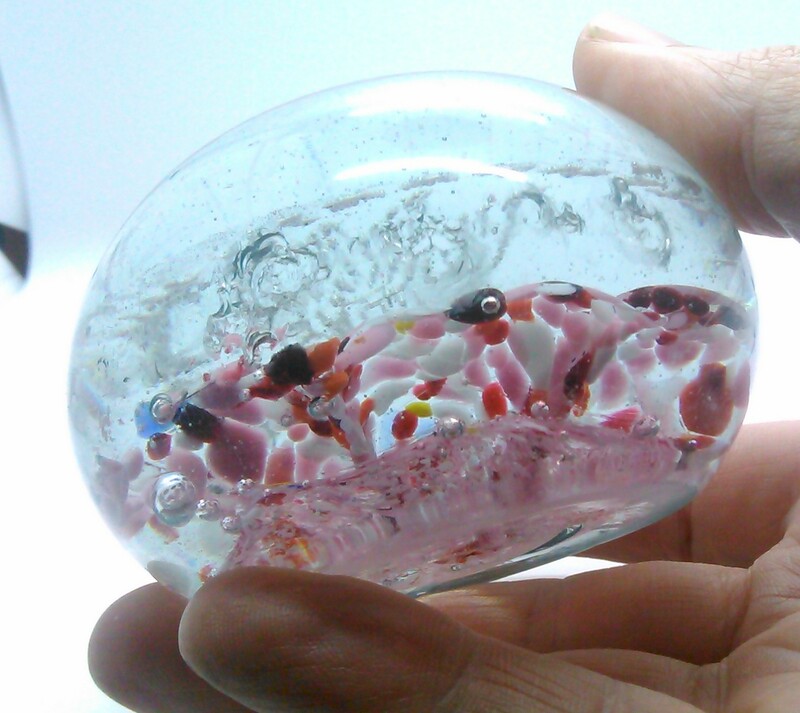 This paperweight is not marked. I am therefore going to estimate is most likely made during the 1950's Size is 3.3 inches across. There is white writing over mostly pink frit, also a bird is in the center. It says "to my sweetheart" I could not get a good picture of the writing so I am including a picture of similar weights so you can see what it looks like. Condition on this weight I rate as POOR. It has a lot of very large chips around the edge. The top has some cloudiness to it from wear. 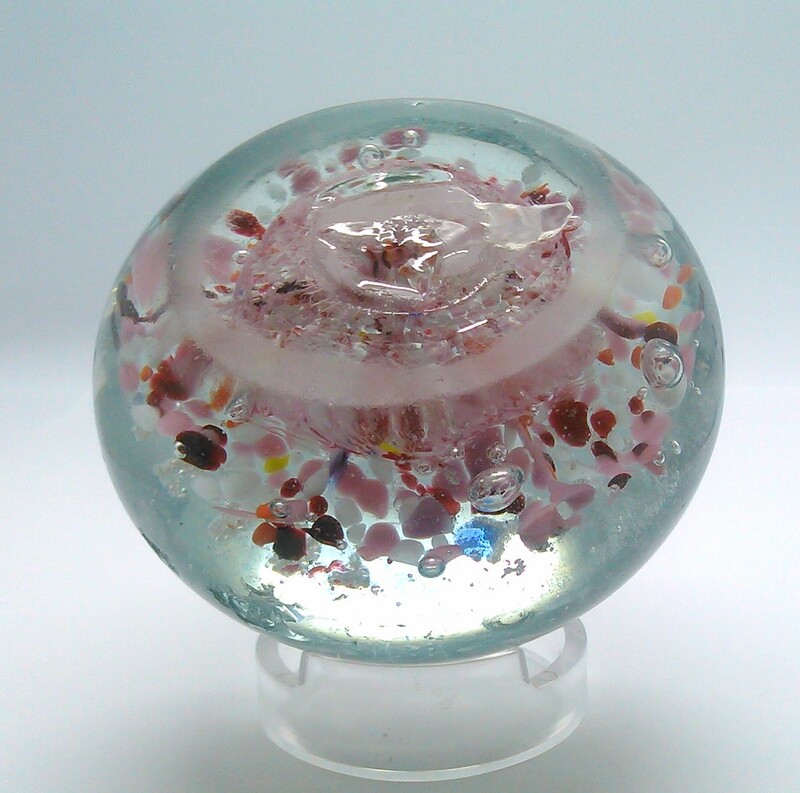 I would buy this to represent a style or if you collect Gentile glass. Be aware of the condition. 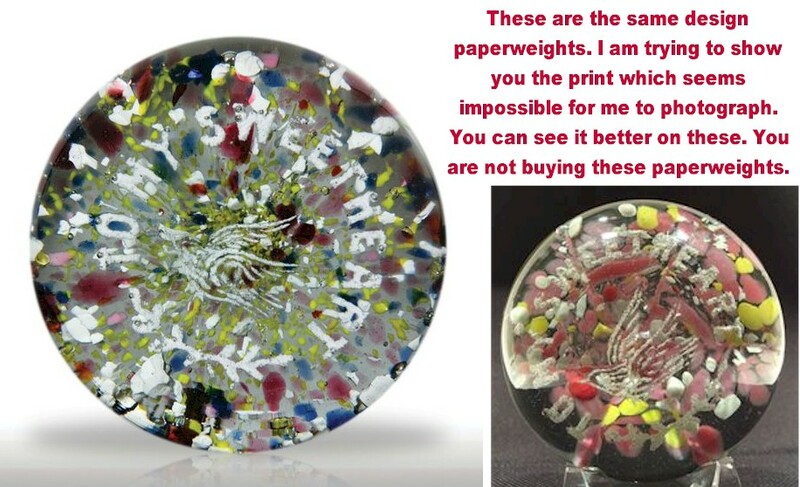 More of the Gentiles can be found in American Glass Paperweights and Their Makers which describes paperweight making just before the start of the studio glass movement.